These last weeks has been really exciting! Thanks to Divine Robot (the company where I work) I've been able to get more work done on the game than I have in years, and it's so much fun finally being able to make all those ideas I'll been having a reality. Finally we have an editor in the game, and thanks to that editor I've been able to start working on the campaigns. It's not much right now, only one level that works mostly as an tutorial. 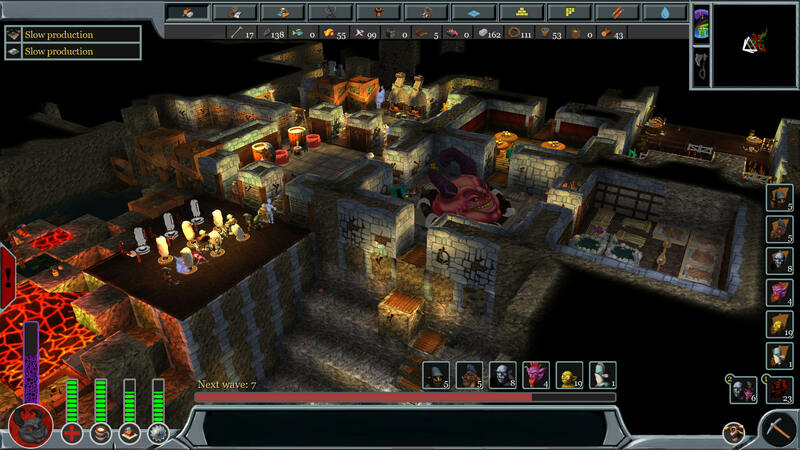 But this level have set the foundation for the upcoming campaign levels. So with each new release from now on you will see more and more campaign levels coming out in a faster phase. So lets get started listing all the new features with this version! 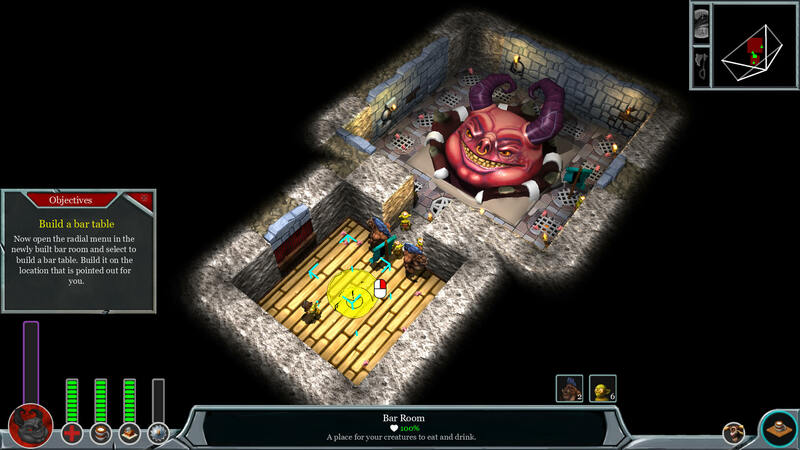 This first campaign level is called "Bed and Breakfast", and its purpose is to teach the player how to create a dungeon that tends to all the creatures needs. This includes building a bar room, a farm room, a bed room and a cookery room. I think we've all learned that Dwelvers has a very steep learning curve, so my hope is that this campaign will help the player ease into the game instead of giving the player a feeling of confusion when the Dark Mother starts spitting out 8 imps and 6 orcs without any instructions at all. At the moment we only have subtitles for the Dark Mother, and it will probably keep being so until we finished with the whole campaign or feel certain enough that nothing will change that will force us to change the story. 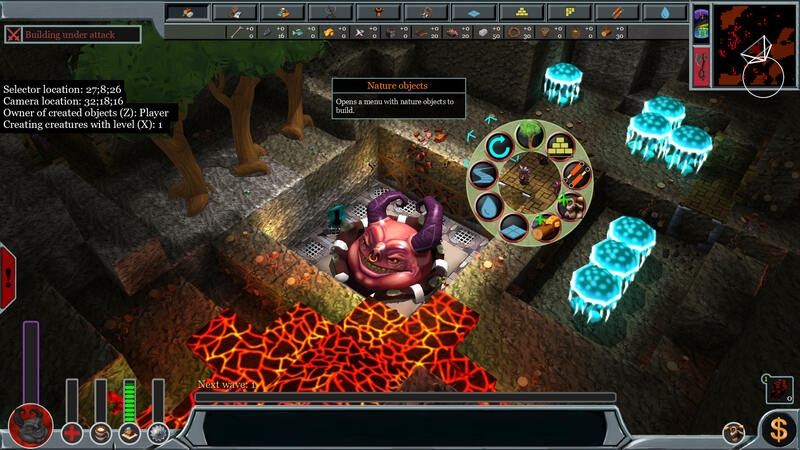 The first thing the artists started working on in Dwelvers was improving the surface world to make it more hospitable for humans. 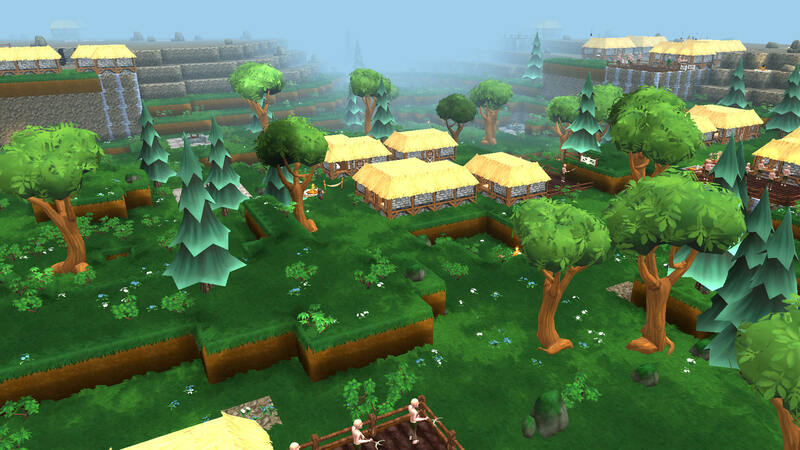 So no more green fog, instead we gave it a more natural look. This is something we have been planning for long, we wanted to move the rogue to the player side instead of having it work with the humans. So now the Rougue is with the player, and the humans got a Dwarf. To be honest I've not been all that satisfied with how the creature spawning process work. So I've now made some improvements. Instead of having rooms and buildings attracting creatures we now have certain conditions that attracts creatures. Cyclotaur - First creature attracted by taking over the maze - Then the spawn rate is depending on the amount of enemies that have been killed. Fishman - First creature attracted by building a bridge - Then the spawn rate is depending on the amount of fishes being fished. 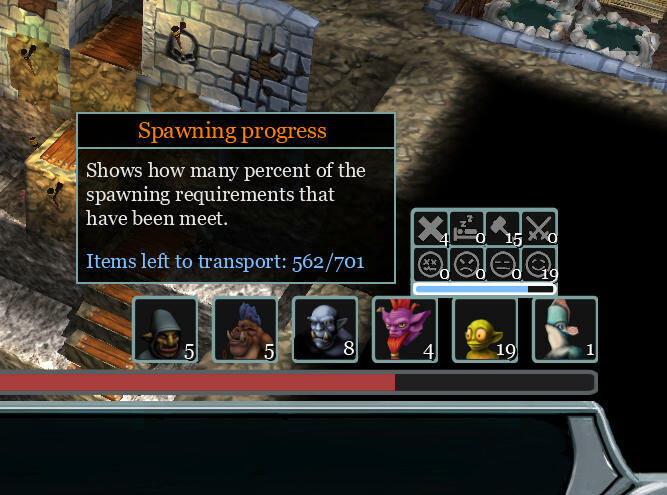 Imp - Then spawn rate is depending on the amount items being transported in the dungeon. Orc - First creature attracted by building a metal works room - Then the spawn rate is depending on the amount of items being produced in the metal works room. Piggeh - First creature attracted by building a cookery room - Then the spawn rate is depending on the amount of food and drink is being consumed in the bar room. Rogue - First creature attracted by building a trading room - Then the spawn rate is depending on the amount of gold is being mined or earned. Impanzee - First creature attracted by building a brewing vat - Then the spawn rate is depending on the amount of beer is being produced. All maps created in the editor is saved in the "..\AppData\Roaming\Dwelvers\editorMaps" folder and can be copied to the "media\maps\maps" if you want to play it. You also need to edit the "media\maps\Maps.xml" file to include your level in the game. So I will upgrade the UI a bit at a time with each new version being released. 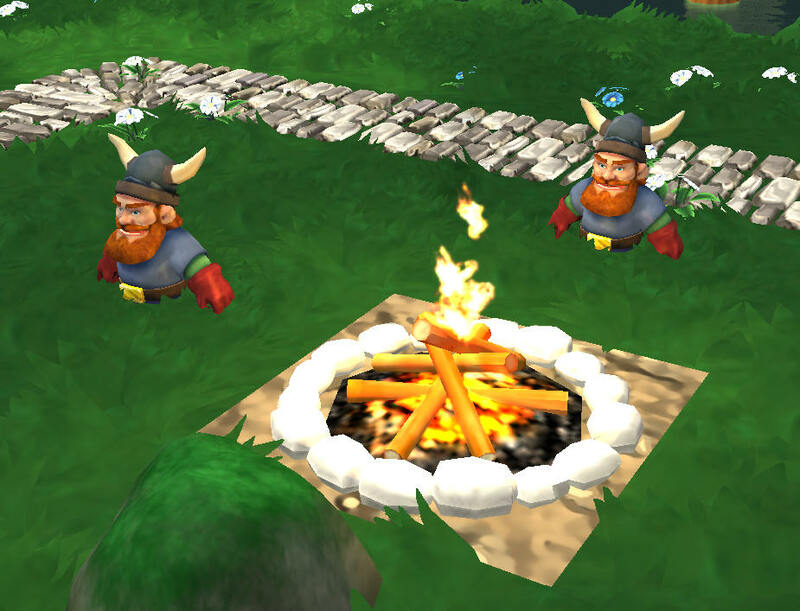 Dwelvers Alpha v0.12.0.0 is available for download at the Dwelvers Website and on Steam. Everything looks way better. Game has improved significantly since January, especially UI and graphics. 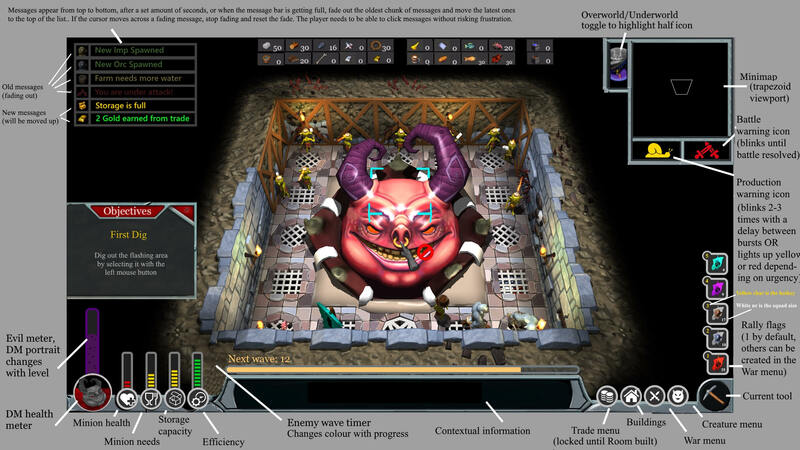 Especially like the changes you've made with creature spawning and that the Rogue joined the evil side permanently (and lol Trading Room is spawning it). Great job DR team! Also I wondered - if I create a map why it appears in AppData folder? Couldn't it just appear in Dwelvers Media/Maps instead, so I wouldn't need to copy and paste my map from there? What if I want to save many times my map, will I need to copy my map each time I want to test new version of it and paste a map stored in AppData? Oh and why Georgia instead of Tahoma? Do you guys fell it's more readable than Tahoma? Yeah, kudos to the DV graphics work. Looks like my plans have changed today. Gotta see how these new changes play out. Fun times. I wonder how the notifications would look without the border around it, and maybe in sandbox mode where no objectives are present, the objective pane could be removed. I tested the new creature spawning mechanic and it seems you can't now spawn other creatures than those that can be attracted by room you build or claim (so can't spawn Knights, Dwarfs, Drillers, Bats, Peasants). Feeding creatures to DM do not accelerate the rate of gaining a new creature too. What if feeding here could actually decrease a little the amount of items needed to create new creature? There's no bed for Dwarf. Fish are being fished at very low rate, maybe making requirements for fish could be at least 2 times lower? The same for Orc and Imp spawning too? Now we also need to gather much more wood to be able to withstand enemy waves or maintain chain production stable. I don't want to sound harsh, but I think the latest update came a little too soon, because there are also many unsolved yet bugs and much more we found in 0.12.0.0. I'm not that worried about that the version was released to soon, it's alpha, and we had a lot of new features in this version. So I was expecting a lot of bugs, and as none has been game breaking so far I pretty okay with it. I will release a bug fix version next week. Uhh, watch where you move your chair in the office. The floor may be connected to pressure pad I made which is connected to cannons that would shot flappies at you! Sure thing, when I finish translation I'll try also to mark which texts exactly are not used any more or should have their names changed etc. (15-02-2018, 11:47 PM)Sebt Wrote: Uhh, watch where you move your chair in the office. The floor may be connected to pressure pad I made which is connected to cannons that would shot flappies at you! (15-02-2018, 10:04 PM)Rasmus Wrote: Sure thing, when I finish translation I'll try also to mark which texts exactly are not used any more or should have their names changed etc. Awesome But no worries, I know there are some texts in the xml that aren't used that I plan to remove, but I can't remove it right now because the game still thinks it needs it. But it would help if you found them all, then it would be easier for me to clean up the game code.